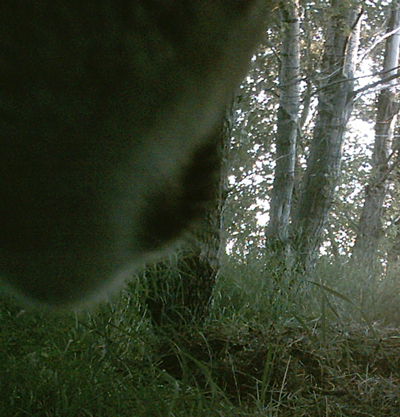 Cougar usually don’t come this far into the foothills in our area. 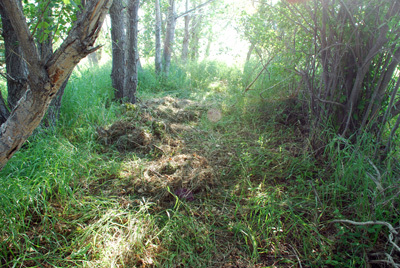 On Saturday July 28/12 we found a partially eaten deer covered in grass underneath our trees. Fish and Wildlife came and removed it and told us it was a cougar kill (at first we thought it was bear). 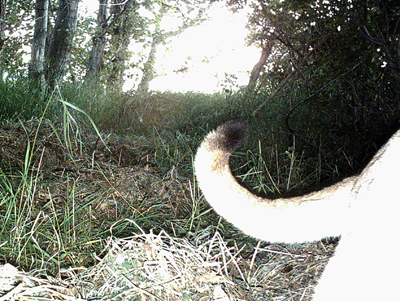 That evening the cougar came back and we caught him on our wildlife camera (not very good photos as it’s only 2px). Where she/he dug up the grass.